URBAN DECAY| ON THE CONCOURSE| ESCAPISM VIA DRUGS| MACHINES CHOKING THE ARTERIES| A MOSCOW APARTMENT| ECONOMIC REFUGEES| THE HUMAN MENAGERIE| ZEN AND THE ART OF VEHICLES| CRUCIFIED BY THE HIGHWAY| ON THE ROAD TO.....| FALLEN STATUES IN THE PUBLIC PARKS| THE PRINCE OF NARCOSIS| TO THE SEA OF TRANQUILITY| T MINUS AND COUNTING| DEDICATED TO ALL ASTRONOMERS.... KEEP WATCHING THE SKIES! THE VENUS FLY TRAP is a gothic-rock band from Northampton led by vocalist Alex Novak, with Gary Lennon (guitar), Andy Denton (drums) and Neil Ridley (bass), and they are very professional musicians who pride themselves on live performance. 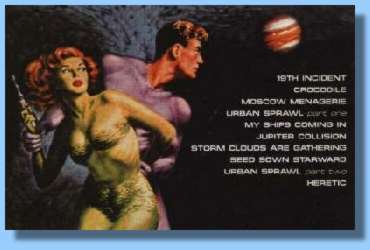 Their 10-track CD album, LUNA TIDE (1995 Spectre Records SPV084-25272 CD), is concerned with urban decay, drug escapism, the new Russia and space travel, and is highly reminiscent of THE DOORS, coincidentally because of Alex's 'Jim Morrison-style' vocals and otherwise because of a swirling Hammond organ. VFT contrive to combine dark themes with exciting rock music. This is their fourth album and follows a two year-break during which time they have been touring all over continental Europe where they have an enthusiastic following and enjoy good coverage in music fanzines. Warning!---This release is not recommended for most of this zine's readers. Now that that's out of the way.... Anyone who digs fellow Brits, Sisters of Mercy and Nick Cave or some old Holly Faith from here in the states. (like me). will want to seek this out. VFT tag themselves as the "New Wave of Dark Wave", but it's not that dark; more in the vein of 80's Gothic alternative rock. In the event VFT gets some distribution in the states, I believe they have the potential to become huge. THE VENUS FLY TRAP! Even the name alone is enough to arouse curiosity. 'Luna Tide' is the fourth album for this Brit. outfit who describe themselves as 'new wave of dark wave'. It also saves you the trouble of trying to pin your own label on them. After listening to 'Luna Tide' and reading the press release, I got two different impressions of VFT. One, the music was so dark and brooding you had to have a wake and wear a mourning shroud to listen to it. Maybe I'm just a depressing person cause I found 'Luna Tide' not as black as people were saying it was. It has certainly got a kind of grim atmosphere all it's own. I actually found the music quite upbeat, infectious with it's groove, even uplifting and with the dirgy organ, like rock 'n' roll wurlitzer music. VFT are still a rock band despite the alternative rock/goth they are invaribly tagged with, and yeah there is a kind of THE CULT/KILLING JOKE ring to it. Most noticeable is THE DOORS tinge and the vocals which are a bit Morrison like. 'Luna Tide' though sounds quite refreshing to me, I have only heard a handful of alt. bands and a few goth, so I can't really make any real comparisons, except for saying the music sounds like it draws it's influence from the early 70's, mixed up with some modern influences going into a strange kind of brew. It seems VFT have set out to achieve one thing and that is to provoke thought with their music, and the reaction to it is quite diverse. The production is something on the raw side, that and the fuzzed out mania of the guitar and drum blasts go to give an abrasive edge and feel to the album. VFT though seem to be at their most haunting when they strum the accoustic guitar in "Heretic", very JEFFERSON AIRPLANE and a little psychedelic. 'Luna Tide' is not a bad album at all. Semi-concept LP from a Northampton based outfit. Darkly suggestive of that pre-Goth Rock mid-'80s period, the muscicianship is strong (particularly the rhythm section), all overlaid with a nifty Doors-y Hammond organ. Longtime veterans of the underground, make suprising headway out of usual dark music. Maintaining a cold feel, they've broadened their sound to include rock, alternative, '80s influences and more. This excellently produced album opens with an Echo/Doors feel, then progresses to become more rock. Very cold. Very live. Novak's lyrics underscore the music's bleak grey feel, telling of confrontation, and decay. New underground for anyone into 'alternative'. THE VENUS FLY TRAP are a gothic/alternative rock band from Northampton, Led by vocalist Alex Novak, with Gary Lennon (guitar), Andy Denton (drums) and Neil Ridley (bass). The band now have their fourth album 'Luna Tide' out on Spectre Records. I was curious to find out more about this 'new wave of dark wave' band, so Alex obliged with this interview. 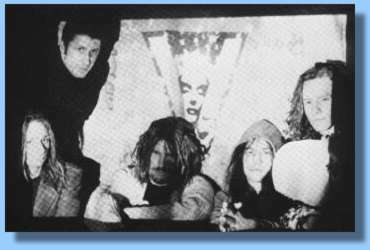 For those that are unfamiliar with The VENUS FLYTRAP can you begin by giving a brief history of the band and how it all got started for you? "Well. I had just left a band called ATTRITION who I had done an album with. 'Smiling At The Hypogonder Club' and dates in the UK and Holland and decided I wanted to do another band that I had a bigger input in. It was difficult being in someone else's group. but useful experience." 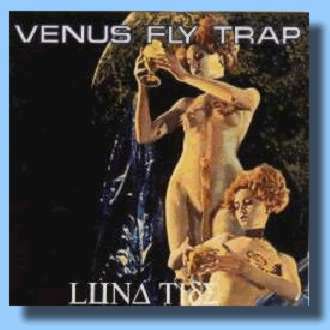 How did the band come to be called The VENUS FLYTRAP?. "It's always difficult to pick out a name for a band as you can imagine. so many connotations. VENUS FLYTRAP didn't sound as though it fitted with any particular type of music. Also there were plenty of images we could play around with like 'Venus the goddess of love. mythology. planets and sci-fi. femme fatales...etc'." VFT seems to have picked up quite a following in Europe but elsewhere the band still seems rather unknown. Is it that European audiences are more open to accept something new like VFT?. "Most of the labels we've worked with have been European based, so obviously all the promotion has been in those countries whether it's press, radio or touring. But yes the media does seem more open on mainland Europe, which is good for us." You have done some extensive touring through Europe in the past. Do you see VFT as a road band? "Touring provides momentum and purpose for the band, it gives the music direction to get a direct reaction to material. Also it's good to travel to get experience and to interchange ideas with people from other backgrounds and cultures." There are some bands who find being on the road a chore; but it comes as part of the territory. How do you cope with long spells away from home?. Is there fun being on the road? "Well the travelling can be a pain, you do start to get 'cabin fever', but it's part ot the whole experience." You have now released your fourth album, without any real major backing and yet you are still hanging in there. Is that determination on your own part to do your own thing and to let everybody else do theirs? "It's always tough for alternative/independent artists without big backing, but that makes what you do stronger. We basically do what we like. I don't think this would appeal to a major label. It would be nice to have more finances to do everything I would like to, but it's not a pertect world is it?. So you do what you can." You have been receiving very positive press for the album 'Luna Tide', but it's seems journalists have a hard time pinning the bands music down. It doesn't just fit into one category, It must give you a certain satisfaction to keep the press guessing about VFT?. "Yep, journalists have had a hard time to label what we do and they all seem to hear something different. We're trying to come up with something original. mixing all these different elements." You describe yourselves though as 'new wave of dark wave' and it seems to fit the concept of VFT. Is that just a way of eliminating other unfair tags people might put on the band? "Basically this gives rough parameters to show in which area were working in, but that area is still wide." The popular opinion of VFT is of dark brooding music, or just being plainly depressing. Is that the kind of reaction you are looking for or is it a matter of people getting out of it what they want?. "VFT's psyche is definitely of the darker persuasion. there is more to deal with there, if you want easy listening, listen to mainstream music." I was surprised by the comparisons to other bands VFT seem to evoke with the print media. 'Luna Tide' seemed to affect each one differently. Is that a positive sign to you that VFT's music does get people thinking? "I always thought music was supposed to provoke/cause discussion, get a reaction to present a point of view." I don't think VFT to be any darker in mood than a doom metal band. People whose outlook is positive will somehow see your music as kind of oppressive, where those in a negative frame of mind will actually find VFT touches a nerve. Do you put a lot of your own personalities into the music or do you just stand back and write as impartial observers of what is around?. "Some of the material is from a third person point of view, but there is a lot of personal experience mixed in. It's nice to have that balance between event's that happen around you and that provides the backdrop for your own trials and tribulations to be played out against." Do you take much interest in politics? "Yes, a lot of the material has been inspired by events in Europe. 'Pandoras Box' dealt with the fall of communism and the political vacuum that has ensued." Is it important for you to add some humour into the songs to lighten the heavier moods?. "The humour tends to be 'black' humour, these things are serious but not that serious, you need some light and shade." Who have been some of your main influences?. "The way I got involved in music was via the Punk/ New Wave explosion, it showed if you wanted to do something you could. That DIY ethic has been an important element in what I have been doing over the years." In what direction do you see the band heading in now ?. Are you looking at moving away trom your dark image? "The new album 'Dark Amour' which we're working on has a harder edge as we're using more technology via samples. but it's still rooted in the darker end of the spectrum." Do you see the press on the whole as being very favourable toward the band? "Critically we've always enjoyed general praise but more from the underground." What have been some of the highlights for VFT so far?. "1 think too many to mention... but I guess everytime we go to a new country that's always special." Do you have any on-going projects outside of the band or associated with it? "I'm involved in an electronic project called NOVA GALAXIE ROBOTNIK which gives an outlet for my interest in the genre." Is it frustrating for you to find that now after putting out four albums to still be something of a cult band?. "Yes you always think that whatever you release next will do loads better, but it doesn't always work that way, interest rises and falls. it depends on so many things, but I'm hopeful with the new album." Are you happy with where the band is at present?. "It could be better financially, but so long as we're still playing and able to release material that's more important." Is it hard to get good promotion for the band while being associated with a small unknown indie label? "Of course you just haven't got the financial clout of a major label, but I try to do the best I can with limited resources." How do you go about promoting the band? "Hassling as much as possible, getting exposure in the press and radio and of course playing." Is VFT a professional band. that is does your music support you?. "We don't make much money from the band it wouldn't be enough to live on, we try to play as much as possible, but due to constraints from work and studying it is not as much as I would like, but you have to work in the real world." "Well I'm really into films and try and see as many as possible. Art, especially photography (I did a degree in the subject recently) and all the visual social diversions, seeing bands, socialising etc, etc..."